Chase offers three varieties of Southwest Credit Cards. They offer two personal Southwest cards, the Premier and Plus. Chase also offers one business version, the Premiere Business. We will be reviewing all three cards, as well as, discussing how they help you achieve Companion Pass status. 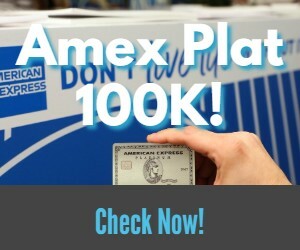 Earn 60,000 bonus points when you spend $2,000 within the first 3 months. Annual fee of $99 applied to your first billing statement. Annual fee of $69 applied to your first billing statement. Earn 60,000 bonus points when you spend $3,000 within the first 3 months. All three cards come with two restrictions that can make you ineligible for the sign up bonus. The three Southwest cards fall under Chase’s 5/24 rule. If you have applied for 5 credit cards, from any bank, in the last 24 months you will be denied. Most business cards, including Chase business cards, do not count towards this number. Check your recent applications to see if you are eligible. 2 points per $1 spent on Southwest purchases and Rapid Rewards® Hotel and Car Rental Partner purchases. Your Rapid Reward points never expire as long as you are a cardmember. No foreign transaction fees for the Personal and Business Premiere cards. Being a cardmember allows you to redeem your Rapid Rewards for gift cards at a value of 1 cent per point. Options include Target, Shell, and Amazon etc. 6,000 bonus points for the Business and Personal premiere each year the $99 annual fee is paid. 3,000 bonus points for the Personal Plus each year the $69 annual fee is paid. Southwest Rapid Reward points are valued at 1.5 cents a piece. That would make 60,000 points worth $900. The annual fee of $99 brings the net value down to $801 for the Business and Personal Premiere versions. The 60,000 point sign up bonus is also worth $900. The annual fee for the Plus card is only $69 bringing the net value of the sign up bonus to $831. The sign up bonus on all three cards are above average. Allowing the bonus points to count towards the Companion Pass is icing on the cake. One thing to remember is that Chase’s application restrictions make them difficult to get approved for. It is possible to sign up for two of the three cards and earn enough points to qualify for a Companion Pass. Two cards would net you 120,000 points, plus points earned for spend, and only 110,000 is needed for a companion pass. Southwest eliminating the hotel point transfer route for the Companion Pass makes this one of the few options remaining. The earning structure for all three Southwest cards is sub-par. The cardmember perks are also sub-par. With the Southwest credit cards having a below average earning structure and no meaningful perks they can not be considered long term keepers. Even with the annual bonus points covering a large chunk of the annual fee the cards have no value for everyday spend. The real value with the Southwest cards is the Companion Pass. Signing up for two of the three cards would provide you with enough points to qualify for the Companion Pass. And, the end of the year is the best time to get started. When you earn the Companion Pass you get it for the rest of the current year and all of the next year. Good timing is key! Everyone who qualifies for the Southwest cards should seriously consider signing up for them. The sign up bonus, worth $900, is a great offer. Even if you don’t fly Southwest often you could cash out the sign up bonus for $600 in gift cards. The real value, with the Southwest cards, is that the bonus points count towards earning a Companion Pass. It only takes two Southwest card bonuses to qualify for the Companion Pass. If you time it right, at the end of the year, it is also possible to get the Companion Pass for two years! 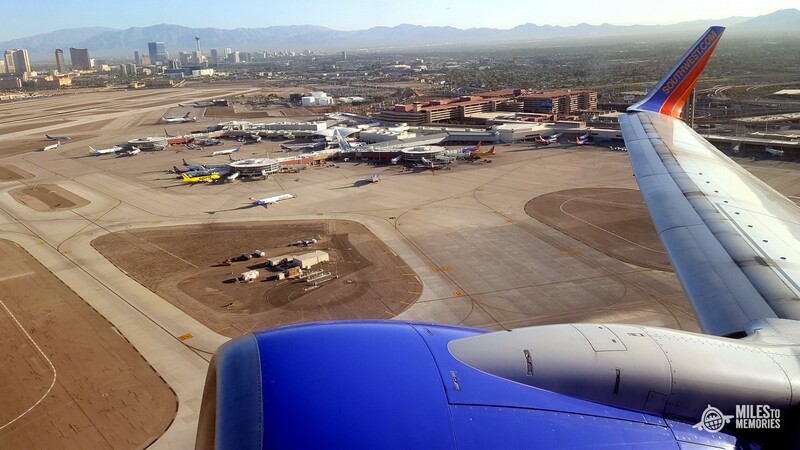 Although the Southwest cards come with a great bonus they do not have a rewarding enough earning structure or cardmember perks to hold onto long term. If you are thinking of applying for one of these cards and you would like to help support the site you can click HERE to go to our links. Thanks in advance! Are you eligible for the Southwest Cards? To plan to leverage them into a Companion Pass for two years? Let us know in the comments. An amazing sign up bonus but lackluster cards outside of that. Hi Shawn, i have a question. Whats the strategy to re-qualify for this? i have the plus and premier “got them on oct 2015 with the bonus posting on Jan 2016 for the companion 2016 and 2017” as of sept 28, 2017 we will be under the 5/24 we will be 3/24. can i cancel the card today and apply for it on January and still get the bonus? my plan is to apply now for the business and in Jan or Feb 2018 apply for either premier or plus to get the remaining points. That is a great strategy. I would close one or both of the personal cards now. Sign up for the business card before the 60k offer goes away (10/4). Meet the spend so that the bonus posts in January. Then you can sign up for one of the personal cards again in February (I would suggest the plus) to get the bonus for that as well. That should put you at a minimum of 100,000 points (if the offer drops to 40k) plus whatever spend you have done (possibly another 5,000). Which would only leave you 5-10k short of the Companion Pass which is easily reachable. Thanks Mark for your feedback, i appreciated!! Doesn’t the clock start ticking (on the 3 months you have to spend the required amount of money) when you are approved for the card rather than when you receive it in the mail? I believe that’s what I was told by Chase when I received their Reserve card. If that’s the case, then isn’t the window for approval for the Southwest card Oct 1 to Oct 4 (offer ends Oct 4), so that you still have from Jan 1 to Jan 4 to complete the spend requirement? Yes it starts from the day you apply. They say 90 days but they usually end up giving you more. If you send them a secure message asking them when you need to complete the spend by they will give you the date. Just be sure to print a copy of the conversation for your records. Also complete the spend a few days before that so you give the charge time to get settled. so i just got approved for both personal cards couple of days ago and confirmed that my MSR date is 1/13/18 through SM… I read that they give you 115 days to meet the req so I should be fine right? My first statement close is not until Mid November according to my account..
Yeah if they told you over SM you should be good. Did you keep a copy of the secure message? It should still be in your messages on Chase’s website if you didn’t delete it. I would print it off for your records. Make sure to complete it a few days before 1/13 so that you give time for the charges to be settled on your account. I applied for a Chase business card in August and was denied for having too many cards. The CSR said if I wait until after Sep, I will drop to 3/24, then I can reapply. Do you know if the application in August would be counted, even if I didn’t get approved? Is it open or apply counted toward the 5/24 rule? Thanks. Chase only counts opened accounts – not inquiries. The application in August shouldn’t be counted. I recently received info on bonus points for referring someone to Chase Southwest. I referred two of my children and they were both approved for cards. I however received nothing in the form of bonus points for these two referrals. Maybe it was filled out wrong, etc but would like to know how to have those referral bonus points added to my Chase Card account. I am happy to provide you with any info that you need to verify the referrals. The points usually post on the following statement after they are approved. I would suggest sending Chase a secure message when logged in online asking for an update. I have never heard of the $200 and 10K points offer. Usually Chase is pretty good about matching offers as well. Sorry to hear about your experience…very strange.